We are dealing with a carefully planned military operation. These were targeted assassinations. Specific individuals were targeted. Journalists were targeted with a view to confiscating their audio and video recording equipment and tapes. “We were witnesses to premeditated murders,” said historian Mattias Gardell who was on the Mavi Marmara. The killing of civilians is intended to trigger a response by Palestinian resistance forces, which in turn justifies Israeli retaliation (on “humanitarian” grounds) as well as a process of military escalation. The logic of this process contained in Ariel Sharon`s “Operation Justified Vengeance” (also referred to as the “Dagan Plan” named after Sharon’s National Security advisor) was initiated at the outset the Sharon government in 2001. This Operation was intent upon destroying the Palestinian Authority and transforming Gaza into an urban prison. (See Michel Chossudovsky, “Operation Justified Vengeance”: Israeli Strike on Freedom Flotilla to Gaza is Part of a Broader Military Agenda, Global Research, June 1, 2010). “Operation Cast Lead” resulting in the December 2008 invasion of Gaza should be understood as part of the logic of “Operation Justified Vengeance”. In turn, the Israeli attack on the Flotilla must be viewed as a continuation of “Operation Cast Lead” which seeks to enforce the Siege on Gaza. The attack on the Flotilla bears the fingerprints of a military intelligence operation coordinated by the IDF and Mossad, which is now headed by one of the main architects of “Operation Justified Vengeance”, Meir Dagan. It is worth recalling that as a young Coronel, Dagan worked closely with then defense minister Ariel Sharon in the raids on the Palestinian settlements of Sabra and Shatilla in Beirut in 1982. Rahm Emmanuel, Obama’s White House chief of Staff was in Tel Aviv a week prior to the attacks. Confirmed by press reports, he had meetings behind closed doors with Prime Minister Netanyahu (May 26) as well as a private visit with President Shimon Peres on May 27. Rahm is also known for his connections to the pro-Israeli lobby in the US. The Israeli newspaper Maariv calls him “Our Man in the White House” (quoted in Irish Times, March 13, 2010). Rahm Emmanuel gave his support to Obama in the November 2008 presidential elections following Obama`s address to the pro-Israeli lobby AIPAC. At the time of Rahm Emmanuel’s confirmation as White House chief of staff, there were reports in the Middle East media of Rahm Emanuel’s connections to Israeli intelligence. The exact nature of Rahm Emmanuel’s ties to the Israeli military and intelligence apparatus, however, is not the main issue. What we are dealing with is a broad process of bilateral coordination and decision-making between the two governments in the areas of foreign policy, intelligence and military planning, which has been ongoing for more than 50 years. In this regard, Israel, although exercising a certain degree of autonomy in military and strategic decisions, will not act unilaterally, without receiving the “green light” from Washington. 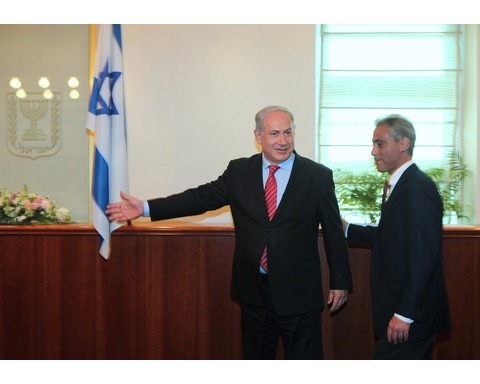 Rahm Emmanuel`s meetings with the prime minister and Israeli officials are part of this ongoing process. 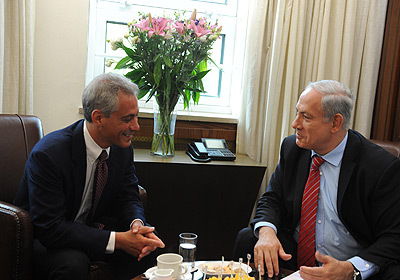 Rahm Emmanuel’s meetings in Tel Aviv on May 26 were a routine follow-up to visits to Washington by Prime Minister Netanyahu in March and by Minister of Defense Ehud Barak in late April. In these various bilateral US-Israel encounters at the White House, the state Department and the Pentagon, Rahm Emmanuel invariably plays a key role. “As President Obama has affirmed, the United States commitment to Israel’s security is unshakable, and our defense relationship is stronger than ever, to the mutual benefit of both nations. The United States and our ally Israel share many of the same security challenges, from combating terrorism to confronting the threat posed by Iran’s nuclear-weapons program. Washington views Israel as being “‘integrated into America’s military architecture,’ especially in the missile defense sphere.” (quoted in Emanuel to rabbis: US ‘screwed up’ Jerusalem Post, statement of Dennis Ross, who is in charge of the US administration’s Iran policy in the White House, May 16, 2010). Following Israel’s illegal assault in international waters, Netanyahu stated emphatically “Israel will continue to exercise its right to self defence. We will not allow the establishment of an Iranian port in Gaza,” suggesting that the Gaza blockade was part of the pre-emptive war agenda directed against Iran, Syria and Lebanon. (Israeli forces board Gaza aid ship the Rachel Corrie – Telegraph, June 5, 2010, emphasis added) . Moreover, the raid on the Flotilla coincided with NATO-Israel war games directed against Iran. According to the Sunday Times, “three German-built Israeli submarines equipped with nuclear cruise missiles are to be deployed in the Gulf near the Iranian coastline.” (Israel Deploys Three Nuclear Cruise Missile-Armed Subs Along Iranian Coastline). “a senior political source in Jerusalem said Sunday that Israel received guarantees from U.S. President Barack Obama that the U.S. would maintain and improve Israel’s strategic and deterrence capabilities. The actions of Israel against the Freedom Flotilla have important ramifications. Israel’s criminal actions in international waters have contributed to weakening the US-NATO-Israel military alliance. In 1997, Israel and Turkey launched “A Strategic Dialogue” involving a bi-annual process of high level military consultations by the respective deputy chiefs of staff. (Milliyet, Istanbul, in Turkish 14 July 2006). During the Clinton Administration, a triangular military alliance between the US, Israel and Turkey had unfolded. This “triple alliance”, which in practice is dominated by the US Joint Chiefs of Staff, integrates and coordinates military command decisions between the three countries pertaining to the broader Middle East. It is based on the close military ties respectively of Israel and Turkey with the US, coupled with a strong bilateral military relationship between Tel Aviv and Ankara. 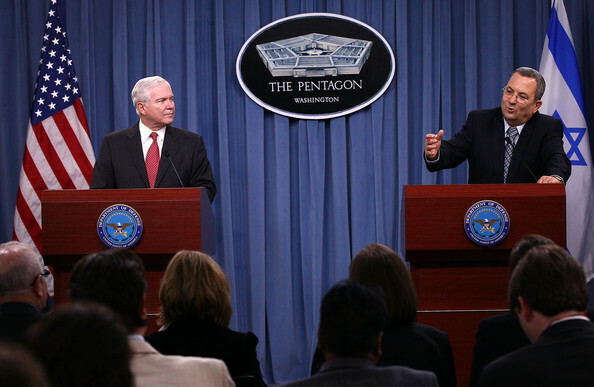 Starting in 2005, Israel has become a de facto member of NATO. The triple alliance was coupled with a 2005 NATO-Israeli military cooperation agreement which included “many areas of common interest, such as the fight against terrorism and joint military exercises. These military cooperation ties with NATO are viewed by the Israeli military as a means to “enhance Israel’s deterrence capability regarding potential enemies threatening it, mainly Iran and Syria.” (“Triple Alliance”: The US, Turkey, Israel and the War on Lebanon). 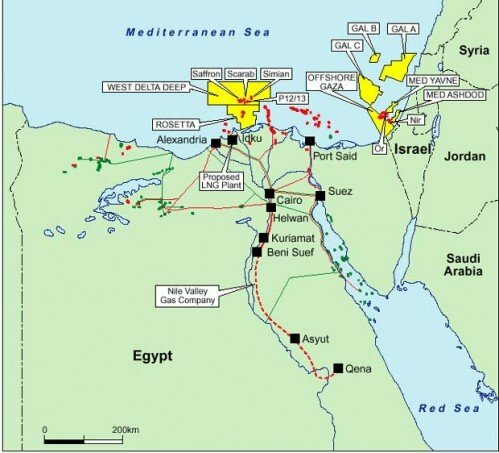 Israel’s blockade of Gaza is in large part motivated by the broader issue of control of Gaza’s territorial waters, which contain significant reserves of natural gas.